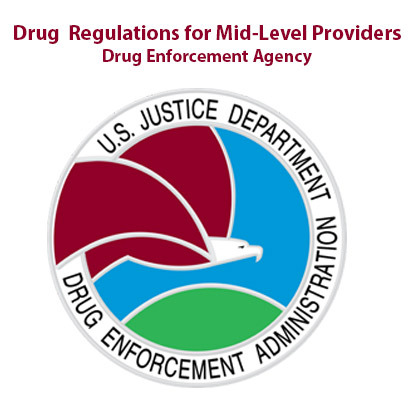 The Drug Enforcement Administration (DEA) is responsible for the enforcing of federal laws and DEA regulations pertaining to the administering, dispensing and prescribing of controlled substances by a practitioner as part of pain management treatment plan. Background: The Drug Enforcement Administration (DEA) is responsible for the enforcing of federal laws and DEA regulations pertaining to the administering, dispensing and prescribing of controlled substances by a practitioner as part of pain management treatment plan. An estimated 11% of adults experience daily pain and millions of Americans are treated with prescription opioids for chronic pain. 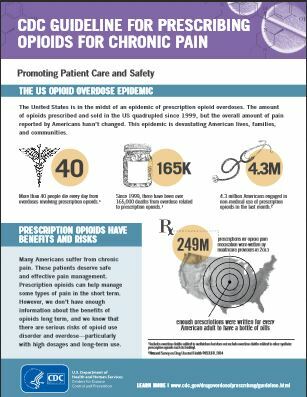 Primary care providers account for approximately 50% of prescription opioids dispensed with the remainder from pain clinics and hospital institutions. Many of you already have been prescribing regularly but are not aware of the very strict guidelines set forth by the CDC and monitored by DEA. Finally a complete Certification Course specifically designed for Physicians and ALL practitioners who are involved with patient care and more specifically, patients who are in need of narcotic analgesics or other controlled substances. 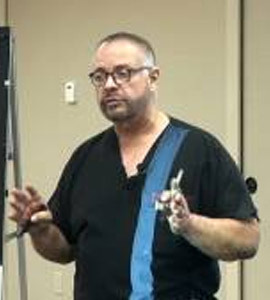 This course is a very comprehensive certification course and the only one taught by both a Pain Management Physician and a DEA Agent with over 36 years’ experience in Law Enforcmenet ! Mr. Carlos Aquino is a renowned DEA AGENT and TASK FORCE SUPERVISOR AND UNDERCOVER AGENT. Read Mr. Carlos Aquino credentials here. History: For the vast majority of practitioners, intentions are to help these patients using proper prescribing methods learned throughout their medical education; however, with the drug diversion problem reaching epidemic proportions, the federal government has had to step in. Unknowingly, Physicians and practitioners may face disciplinary action including forfeiture of their medical license, their DEA registration, and may even face prison time for the worst case scenario involving improperly prescribing narcotics and other controlled substances. Every day medical offices are being targeted by law enforcement as “Pill Mills” because of the drug being dispensed or prescribed to patients. By DEA definitions a practitioner includes a Medical Doctor, a Doctor of Osteopathic Medicine, a Physician Assistant and a Nurse Practitioner that are license by the State in which they practice. Many legitimate clinics and practitioners have been a target of an investigation by law enforcement based only on a single prescription, the quantity dispensed, or through an interview of a patient who was dismissed as a patient for not complying with the patient agreement. Today’s practitioners treating pain need to take the necessary steps to prevent the diversion of prescribed medication to a patients being treated for that pain. These steps are essentials in order to comply with federal laws and DEA regulations and the policies established by the State Medical Board or the Board of Pharmacy. 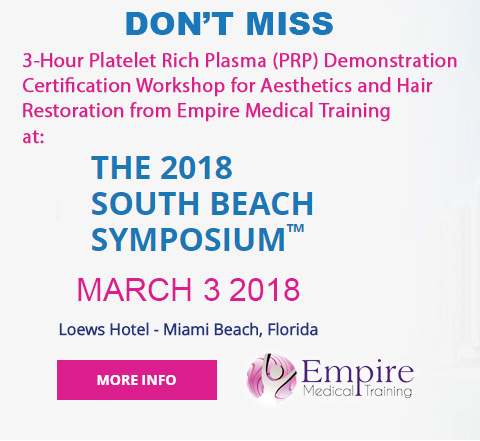 Why should you attend: As a practitioners treating pain, you are required by federal and state laws and regulations to take many steps in order to be assured that the controlled substance you dispensed or prescribed are done with a legitimate medical purpose and are being properly used by the patient. This training will cover steps that will assist you with compliance with these federal laws and regulations. The topics are focused on the patient-practitioner relationship and the necessary information that is need in a patient chart that may result in a prescription for pain. The training will also provide you with a better understanding of DEA and their record keeping and security requirements. Level – This presentation is tailored for practitioners treating pain. The presentation will provide you with a better understanding of a DEA inspection and the records needed in the event of an inquiry by DEA or any state regulatory agency. Description of the topic: Class participants will familiarize themselves with the federal laws and regulations enforced by DEA pertaining to Schedules II though V controlled substances that is dispensed, or prescribed by a practitioner as part of a pain treatment plan. Also they will be familiarized with the necessary documentation that should be noted in the patient chart and step to prevent diversion of the dispensed or prescribed drugs. How to handle a visit from DEA or state law enforcement and when to provide them patient information. Tailor taper rates individually and monitoring of withdrawal symptoms. MAT or be a medication-assisted treatment provider. Documentation: Learn what is required from a record keeping, patient charting, and diagnosis standpoint as to the proper candidate for opioid therapy include further progress assessment of results, a patient plan for the patient, and setting criteria for the taper or discontinuation of therapy. CDC Guidelines: Learn and understand the latest CDC Guidelines and other standard of care objectives in the treatment of acute and chronic pain pathologies. Patient Evaluation: Be able to evaluate the patient presentation appropriately, consider non-opioid therapies and evaluate the risk and medical interactions to the patient and the possible misuse of these agents. Treatment Plan: Understand the short-term and long-term strategies in safely prescribing pain medication. Learn to taper effectively and create a personalized plan for every patient in assessing pain and function comparing to baseline. Gain access to the latest studies and resources to increase awareness of the impact of substance use on patients' health and help identify drug use early and prevent it from escalating to abuse or addiction. Learn to avoid the “pitfalls” of prescribing to patients, educate your patients, and legally stay in compliance with state and federal regulations. WHO CAN BENEFIT: All practitioners treating a patient with controlled substances as part of a pain management treatment plan. To develop prescribing habits and standards so that you not only “survive the DEA inspection” but also can sustain your practice using acceptable CDC guidelines for prescribing opioids . Learn not only the medical and CDC guidelines, but also understand what is required from a legal standpoint and what the DEA is looking for . Learn to implement what is required from a record keeping, patient charting, and diagnosis standpoint as to the proper candidate for opioid therapy. Learn required documentation such as the progress assessment of results, a patient plan for the patient, and setting criteria to taper or discontinue therapy. Learn and understand the latest CDC Guidelines and other standard of care objectives in the treatment of acute and chronic pain pathologies. Be able to evaluate the patient presentation appropriately, consider non-opioid therapies and evaluate the risk and medical interactions to the patient and the possible misuse of these agents. Understand the short-term and long-term strategies in safely prescribing pain medication. Learn to taper effectively and create a personalized plan for every patient in assessing pain and function comparing to baseline. 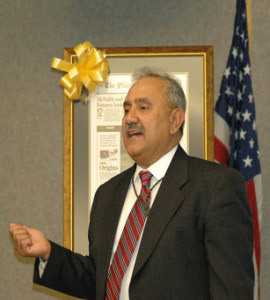 Instructor Profile: Since January 2009, Carlos M. Aquino has served as President and Founder of a compliance consulting firm where he assists DEA registrants in the handling of controlled substances and regulated chemicals, with compliance of federal laws and regulations that are enforced by DEA through the Office of Diversion Control. This is done through a “Mock” audit and inspection equivalent to a DEA Diversion on-site inspection. The firm also provides in-service training on various areas pertaining to compliance with federal laws and DEA regulations for handling controlled substances. Consultant Carlos M. Aquino brings 36 years of experience on handling illicit and pharmaceutical controlled substances and regulated chemicals. This includes 12 years with the Philadelphia DEA Diversion and 24 years with the Philadelphia Police Department. During the last 10 years, he was assigned to the Philadelphia DEA Task Force as a street supervisor and an undercover agent investigating the distribution of illicit drugs and the diversion of pharmaceutical drugs.